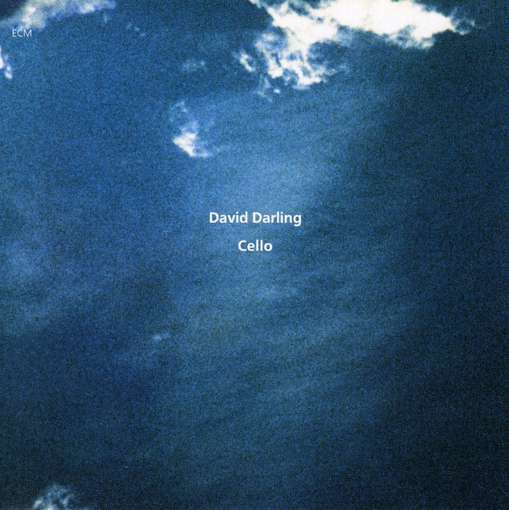 David Darling’s Cello is one of the most stunning albums ever to be released on ECM in any genre. Its fluid paths feel like home. Darling plows the improvisatory depths of his soul, given free rein in the studio to paint the negative spaces in between those clouds on the album’s cover, ever deeper, ever truer to the core of something alive. Most journeys might take you across some distance to get you to where you’re going, yet few will actually unpack where you are standing with such complex, unabashed glory that one need not take a single step to travel to the end of the universe and back. Cello is one such journey. On paper, these might seem little more than chromatic exercises, but in the vastness of Darling’s playing, combined with Eicher’s attention to space, they achieve a meditative state in which the simplest musical utterances become the most profound. Eicher’s touch can be ever felt in the sound and in the melodic elements he has provided, showing us that he is not only a fine producer, but also has a supremely sensitive ear for melody and, above all, time. For this improvised session, Eicher told Darling to go as deep as he could go, thus expressing the spirit of the label at heart, not to mention the spirit of what a musician can achieve when open to infinity. This is indeed a brilliant release (and great review) – I believe some of this music is used in the wonderful movie “Mostly Martha” – along with Arvo Pärt and Keith Jarrett and a few others. Great movie, great soundtrack (and sadly another superb foreign flick that the USA felt the need to remake in a far inferior package). We actually use this as one of our relaxing music CDs to listen to as we drop off to sleep. I’ve not yet seen Mostly Martha, and will be curious to see how such haunting music works in a German cooking comedy!